Aw yeah, my fave NFL franchise is on a roll right now. 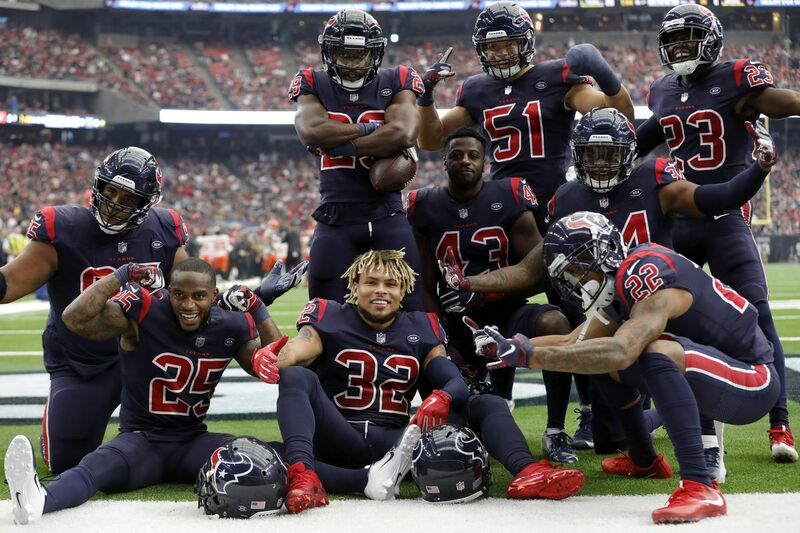 A franchise best nine game winning streak and a favorable schedule down the stretch to improve on their now 9-3 record after the Texans Bulls on Parade defense obliterated the Cleveland Browns 29-13. Will they get number 10 in a row? Keep reading. But y'all got to score more TD's. Now if the Patriots would lose one more game so we can get the number two seed and home field for another playoff round. They have a tendency to lose to the Dolphins on humid days in Miami, but it's December. And as much as y'all know as a Houston resident I despise the Arlington Cowchips, have to give them credit for rebounding the way they have since they lost to the Texans. Defending champion Mr Watts and I tied for Week 13 because he just committed the error that cost me a threepeat title last year. He forgot to pick a winner in the Seahawks-49ers game, and under our contest rules any game not picked before its kickoff is an automatic loss. We'll see in a few weeks if that costs him in Week 17. It's Week 14. 16 more contests, and with teams jockeying for playoff seeding and just to get in the playoffs, anything can happen. As usual, teams I'm picking to win will be in bold print with the HOME team in all CAPS. Mike's Week 14 picks (and I presume after last week he'll make doubly sure he got them all) will be available at this link. Then again, I made that same mistake Mike made TWICE last year.